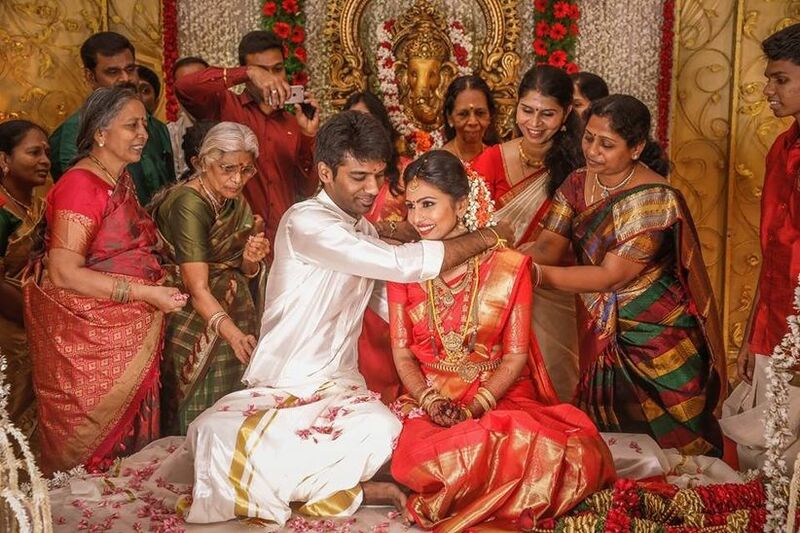 All You Need to Know About Kanchipuram Silk Sarees Before You Head out for Your Wedding Shopping | Wedding Tips ARE YOU A VENDOR? 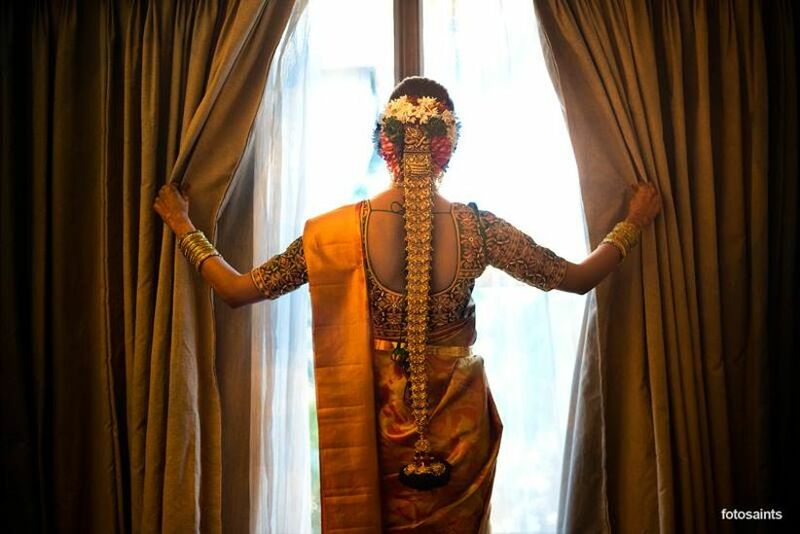 Kanchipuram silk saree a traditional silhouette is the quintessential bridal attire for a South Indian bride-to-be. 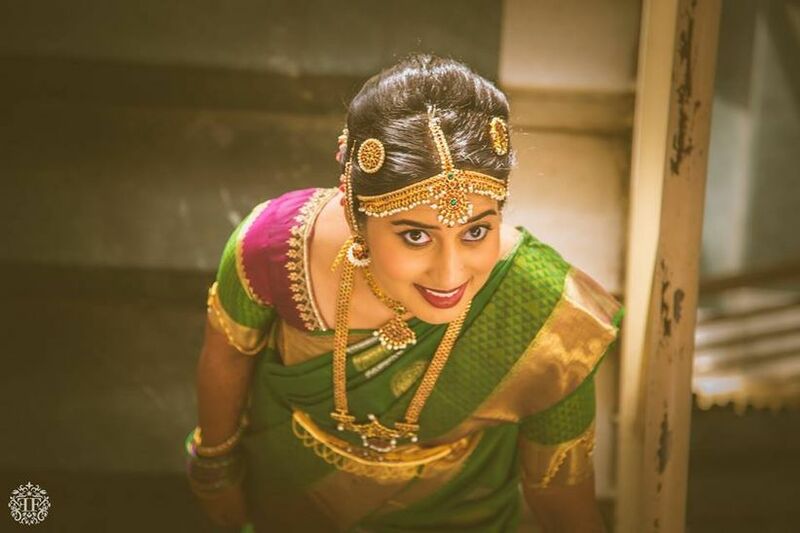 Add elegance to your wedding saree and opt for a Kanchipuram Silk to look like a dream. Bookmark the inspirations you like best. 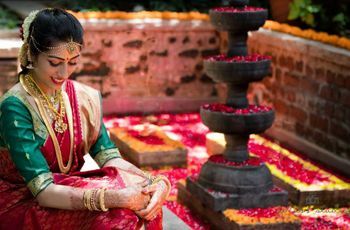 South Indian brides are always associated with the bold and beautiful silk sarees that they adorn and wear with panache. Kanchipuram silk sarees are especially noted for their quality and exquisite richness. 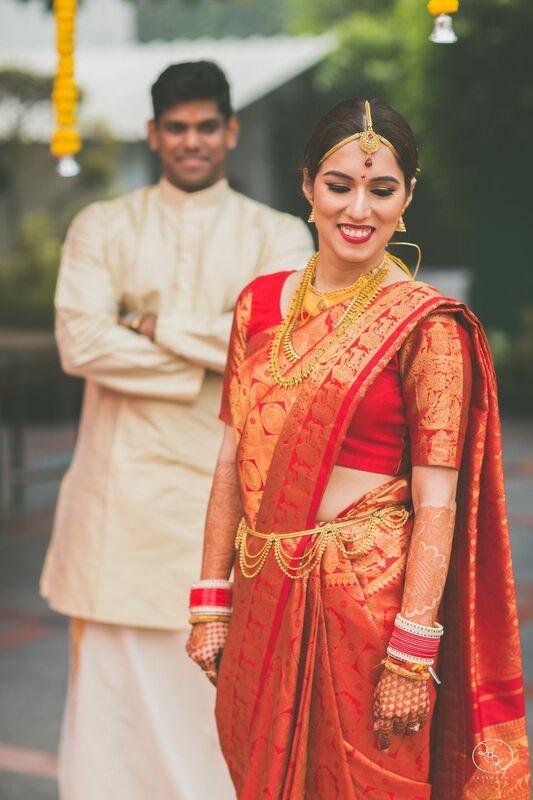 From bold colours to the gold thread work, the broad borders and heavy blouses, everything about Kanchipuram silk sarees is unique and spectacular. 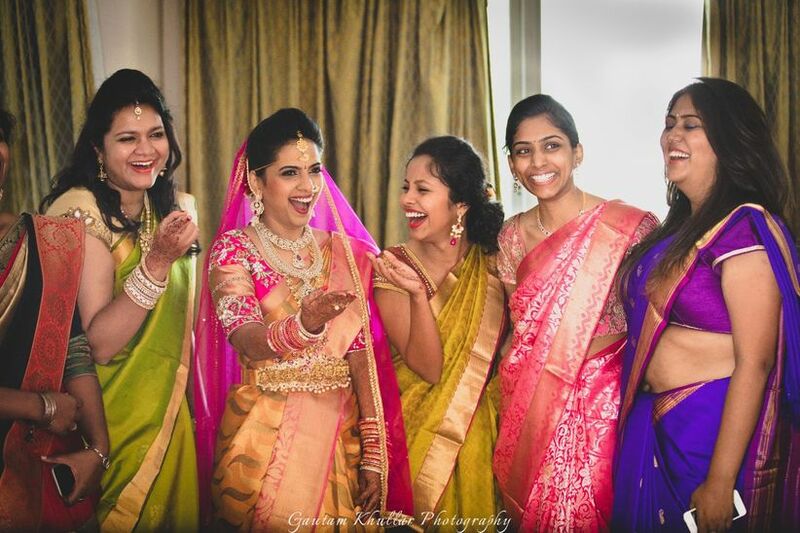 A quintessential south Indian bride ought to adorn a silk saree on the day of her wedding or at one of her wedding functions. 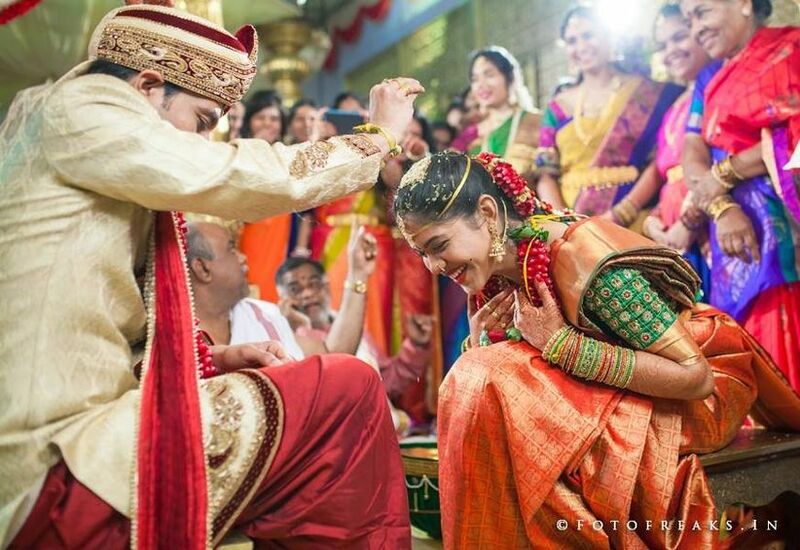 With a long braid, with floral jewellery and heavy gold jewellery, a South Indian bride serves some major fashion goals. The mention of Kanchipuram Silk Sarees goes back to Hindu mythology. The Kanchi silk weavers are believed to be the descendants of the master weaver of Gods, Sage Markanda. It is considered to be one of the finest quality of silk sarees, made only with the purest mulberry silk thread. 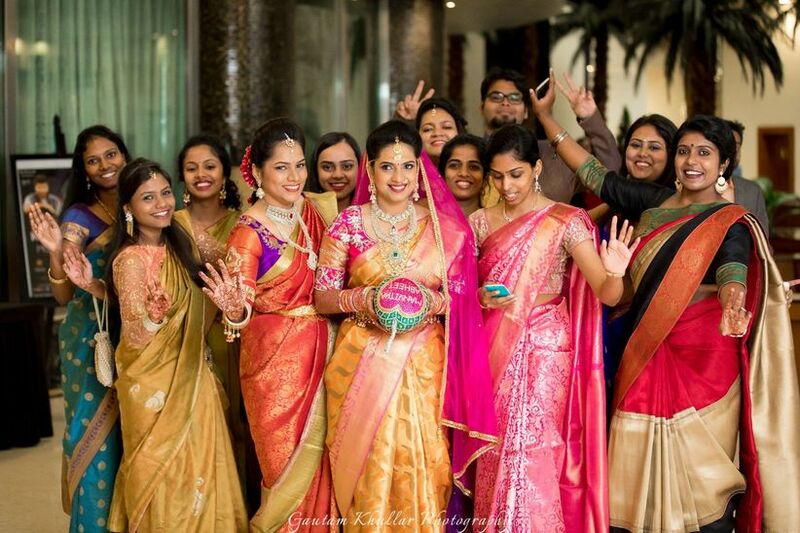 So, for something that has such a rich heritage, for any bride having to have at least one silk saree is essential. If you still are not convinced then head on to check out the stunning Sabyasachi silk saree Anushka Sharma adorned at her wedding reception - weren't you swooned by its formidable elegance? Wes sure were. For the weaving of Kanchipuram silk sarees, the weavers use pure mulberry silk thread from South India and Zari from Gujarat. It is then hand woven, using three shuttles. The body of the saree and the border are usually woven separately and then woven together, very strongly. Sometimes if the pallu is of a different colour, it is woven separately too. 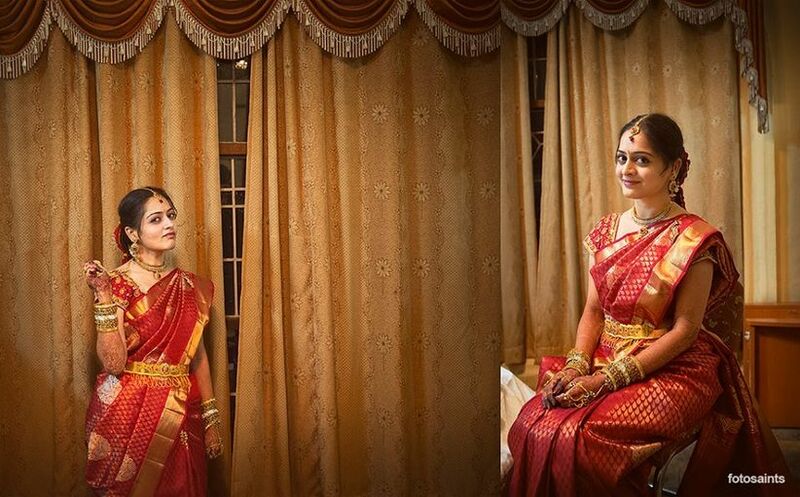 This is one of the most unique features of Kanchipuram Silk Sarees that make them such popular bridal sarees. Kanchipuram silk sarees are especially noted for the wide contrast borders that add to its opulence. Temple borders, floral motifs, stripes and even a check weave are very traditional to Kanchipuram silk sarees. These beautiful and timeless sarees can be found in a single bold colour or a hue of colours beautifully woven together. The Zari work adds to the glitter, glamour and grace of Kanchipuram silk sarees. Kanchipuram silk sarees are available in almost every colour under the sun! Pick bold bridal colours like red, pink or yellow, depending on your personal taste and the season of the wedding. You will find yourself stupefies at the sheer variety of prints, patterns and designs that Kanchipuram silk sarees can flaunt. No wonder it is the first choice among sarees when it comes to selecting sarees for the bride. From golds to deep reds and even royal blue a bride has an enormous array of colours to choose from. You can even get one customised as Deepika Padukone did for her wedding. 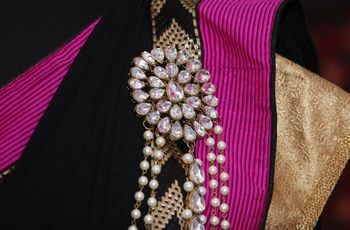 For something as traditional as Kanchipuram silk sarees, it’s best to complement it with traditional jewellery designs. Gold bridal jewellery sets with traditional designs, add to the grace of a Kanchipuram saree. 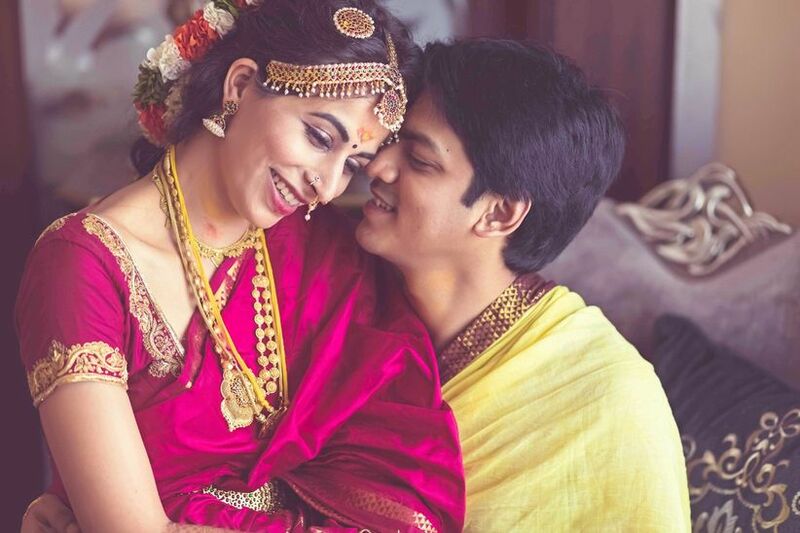 If your bridal saree is gold based, you should go for the same jewellery but if it is silver based, you can opt for silver, white gold or platinum jewellery. 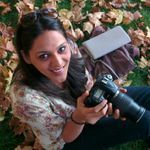 It all depends on the selection of work on the saree, it can a mix of both gold and silver threads as well. From a gold Satlada to a choker necklace, you can wear any jewellery you love best. 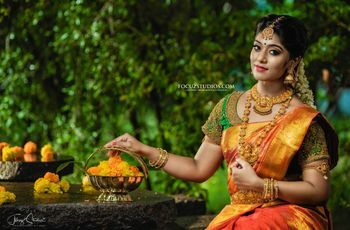 The traditional designs of jewellery from South Indian weddings work best with Kanchipuram sarees but that should not restrict you from experimenting with other types of designs and work when it comes to jewellery. The blouse to your precious Kanchipuram silk sarees needs to be paired very carefully. 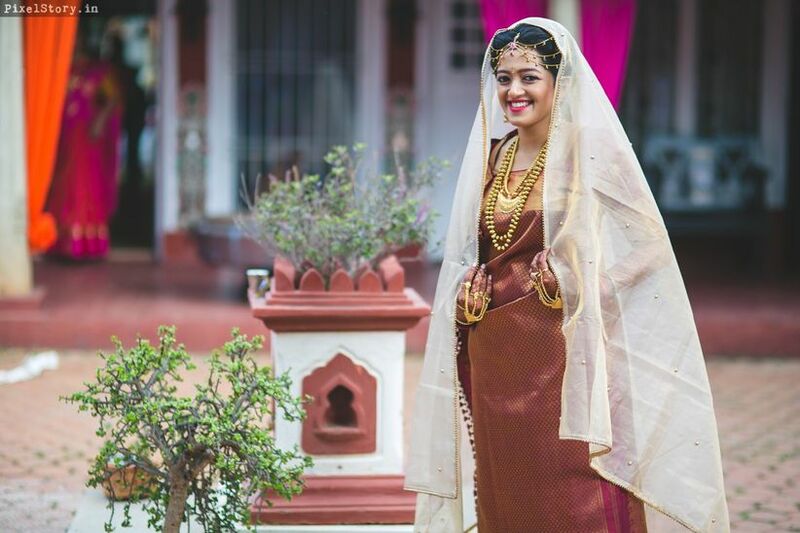 Since it’s a traditional bridal saree, keep the blouse traditional too. A short sleeve gold tissue blouse or a blouse in a contrasting shade as the saree looks very graceful. You can go for Maggam work blouse designs and add the touch of modernity with the cuts and neck style for the blouse. The evergreen Kanchipuram silk sarees will never go out of fashion! You can make your own bridal collection of these must have Kanchipuram silk sarees in a myriad of colours for your wedding trousseau. 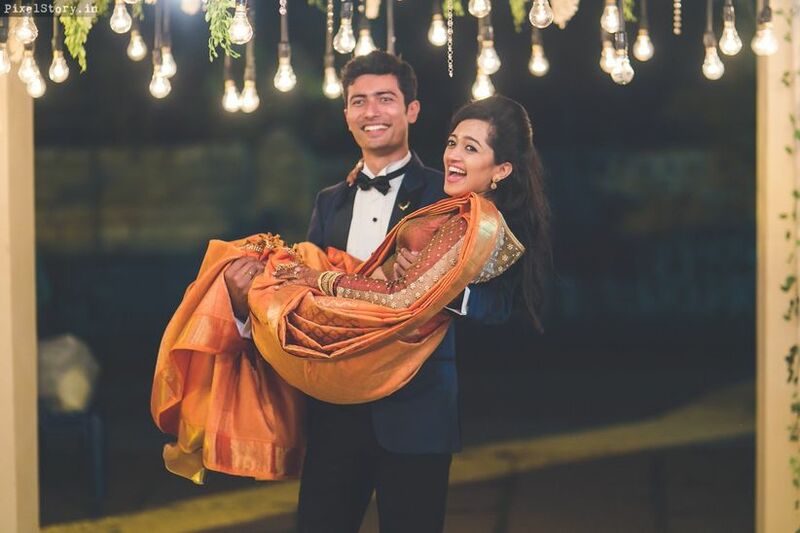 Look graceful as a couple by embracing a colour scheme for your saree and the groom’s sherwani to create some stunning pictures in your wedding photo album. Your coordinated outfits will look regal and emanate elegance in all the pictures. No bridal shopping is complete without buying a saree or two or probably more. You cannot miss out on the beauty of this 9-yard masterpiece which brings out the elegance of a woman the most. Besides, designer today are revamping the traditional saree and making it trendier and modern. Also, there are multiple ways in which you can drape these beauties and hey will end up looking different and more beautiful each time. 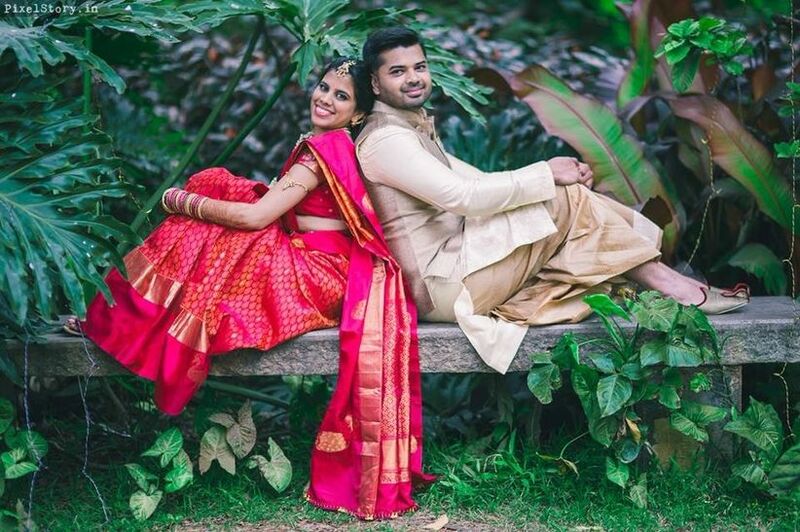 If you want to ditch wearing a lehenga on your big day, you can also wear a saree and trust us you will look like a dream come true! In case you feel like ordering one online, make sure you go through our guide for buying silk sarees online. You wouldn't want to waste your precious time in a fashion disaster, now, would you? It is better to be prepared than otherwise. So, if you are planning to purchase one online, please be mindful that the colour may vary from what the features of the online product, so buy ahead of time just in case it is not as per your liking, you can always return it and buy something else. We hope you found some of these to be helpful. Write back to us through comments about your own style story.